Who survives Ebola and why? Health workers treating patients in Sierra Leone, including some who died doing that work, have published the most detailed report yet on medical aspects of the epidemic. The research suggests young people are less likely to perish, fever is the most common symptom when victims first seek care, and early help is crucial. The report, published online Wednesday by the New England Journal of Medicine, is from 47 doctors, nurses and others who cared for 106 patients at Kenema Government Hospital in Sierra Leone, one of the West African countries hardest hit by the Ebola epidemic. 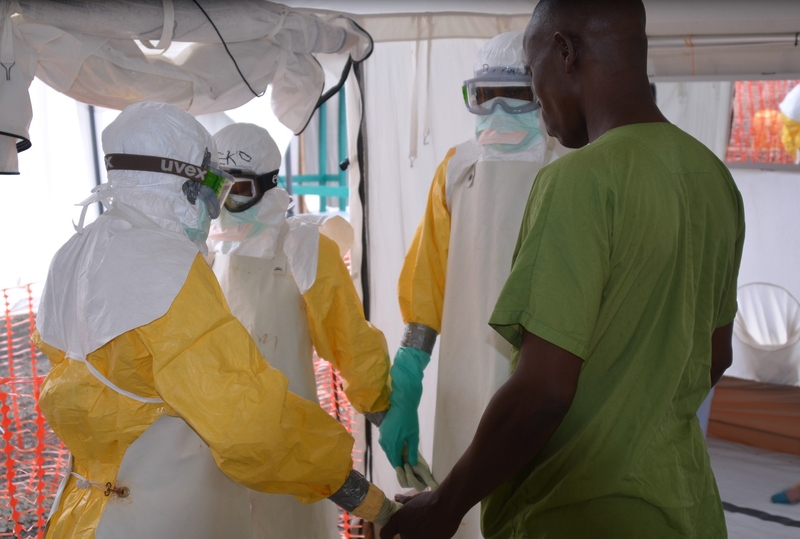 Their work adds new knowledge about the disease, which has killed more than 5,000 since early this year, the largest outbreak ever of Ebola, said one study leader, Dr. John Schieffelin, an infectious diseases specialist from Tulane University School of Medicine. In particular, it shows the advantage of youth - the fatality rate was 57 percent for patients under 21, but a whopping 94 percent for those over 45. "They're more resilient and younger and tougher," Schieffelin said. "This is definitely the most detailed analysis" of symptoms and factors related to survival, he added. One striking factor was how devastating the severe diarrhea is from the disease. "If you can keep up with simple hydration during that phase, you can prevent a lot of deaths," Dr. Bruce Farber, chief of infectious diseases at North Shore University Hospital in Manhasset, N.Y., and Long Island Jewish Medical Center in New Hyde Park, N.Y. told CBS News. Basic supportive care that provides intravenous fluids, nutrients, and maintains a patient's blood pressure can be the difference between life and death. -It can be hard even in an outbreak setting to tell who has Ebola. Of the 213 people initially tested for signs of a hemorrhagic fever, about half, or 106, turned out to have Ebola. -The estimated incubation period was 6 to 12 days, similar to what has been seen elsewhere in this outbreak. -Fever was the most common symptom - 89 percent had it when diagnosed. Other symptoms were headache (80 percent), weakness (66 percent), dizziness (60 percent), diarrhea (51 percent), abdominal pain (40 percent), and vomiting (34 percent). Only one patient had bleeding, one of the most gruesome symptoms, but researchers say other cases may have been missed through incomplete record-keeping. Patients with weakness, dizziness and diarrhea were more likely to die. -Those with more virus in their blood when they sought medical care, indicating more advanced infections, were more likely to die than those who got help when their illness was less far along. Seven of the 47 study authors died - six of them from Ebola and one from a stroke. They included Dr. Sheik Humarr Khan, a doctor who led Sierra Leone's battle against Ebola until his death in July.